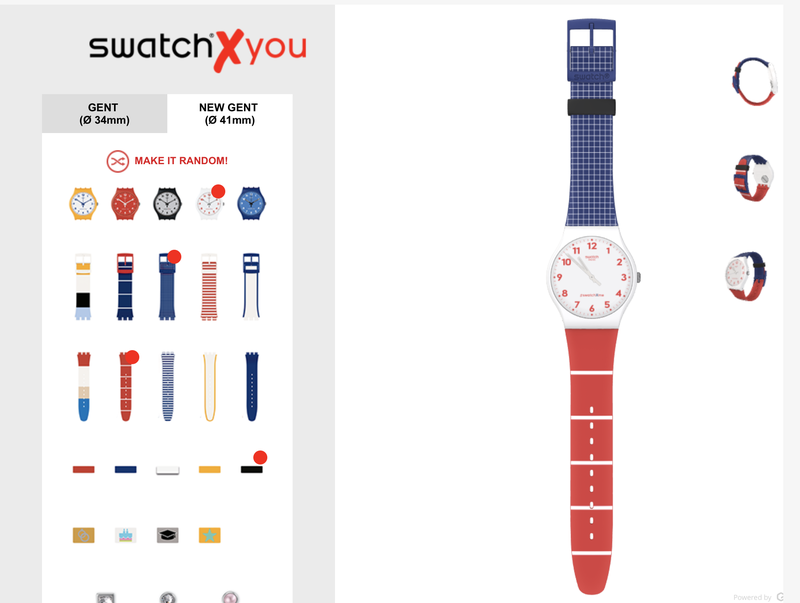 Swatch, the fashion watch for the masses, has created Swatch X You, a clever online watch “factory” that lets you pick a face, band, and extra doodads to truly customize your $65 to $85 watch. The service, available now, offers watches in two sizes 34mm and 41mm. I’ve asked the Swatch group for comment – I basically want to know who is buying Swatches these days besides bored people in airports – but until I hear back we can take a closer look a the project. Basically you can choose from among five very basic watch bodies in various colors. You can mix and match the straps and various accessories including little jewels that attach to the band and even modify the strap holders to reflect special occasions or personal preferences. The prices start at about $65 and can go up past $100 with the right accessories. Swatch partnered with Emersya to create the experience which then lets you rotate the watch in three dimensions to see the majesty of your creation. Swatch then builds and ships the watch. This sort of service is unique for Swatch. Long dedicated to “designer” pieces that can (and do) rise in value this choice to go completely custom is long overdue and very important. Sites like Blancier have long offered custom watches at fairly acceptable prices and that Swatch is just getting into this market exhibits a need to expand outside of the traditional Swatch customer and into the occasion buyer – parents buying custom watches for new grads or birthday kids – and those who think of watches as solely fashion accessories. Either way it’s a clever and important move by a company with a lot to lose.